Like a lot of randonneurs, Felkerino and I have developed a method that serves us well in our preparation and training for brevets. I see our approach as one that works for people who have other activities vying for their time and attention (be it job, family, or other pursuits) and for those who have already developed a solid base level of fitness. Felkerino and I are not racing our way through brevets. Our goals generally include the following: enjoy the ride as it happens and not just grind it out; finish well within the time limits; complete a brevet without any lasting pain or injury; and feel as strong as we can throughout the experience. Our way is not overly prescriptive, but it requires diligence and some planning. There are three aspects we try to balance when building up to the century and beyond. The first is time on the bike, the second is terrain, and the third is preparing for weather. 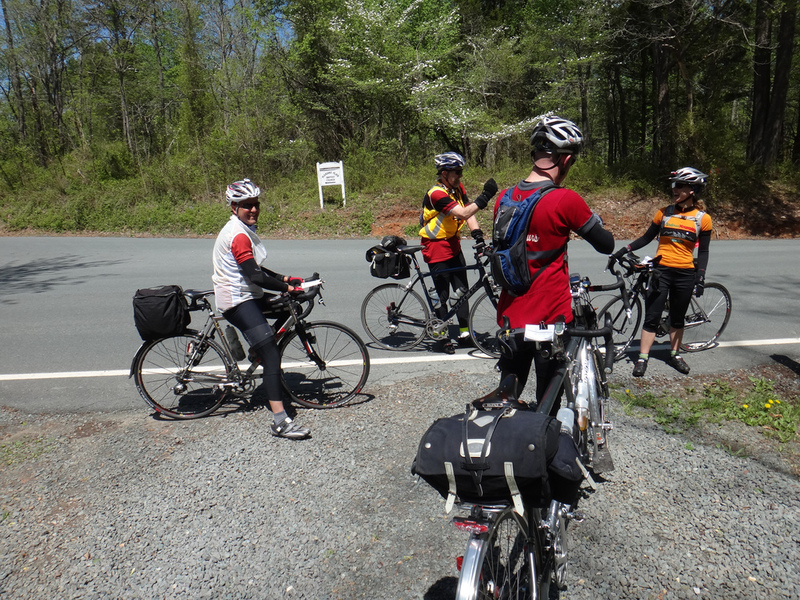 Not all rides are created equal– a ride through the gnarly bumps of the Catoctins during the early spring is not the same deal as the late-September Seagull Century on the Eastern Shore of Marland. When I first began riding long, I primarily focused on the overall distance. By meeting a specific mileage goal, I built my confidence. From there, I began to seek out hillier routes to prove that I could complete the distance and also cover it over an undulating course. This is a similar formula we follow today– build the base for distance and add in hillier terrain as we progress. If you happen to live in hilly terrain with quiet roads around you, you’re already winning in my mind. 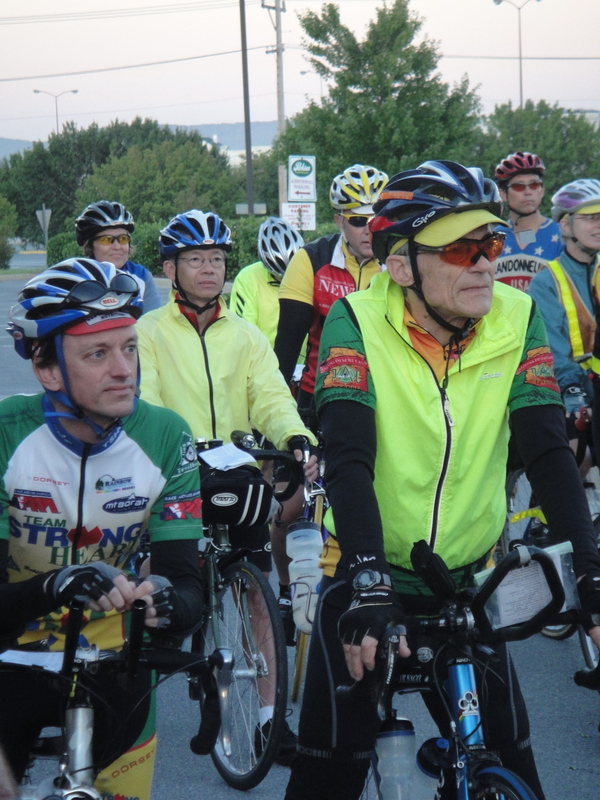 The third part of our randonneuring ride buildup is preparing for weather. Wind, rain, and temperature fluctuations all play a big role in randonneuring. By increasing our mileage during the colder months, we adapt our bodies to less forgiving temperatures and reacquaint ourselves with appropriate layering. We don’t want to wear so much that we end up sweating up, but don’t want to spend the whole day with throbbing fingers and toes, either. Cold weather also rewards constant forward movement. By staying on the bike for sustained periods we avoid cooling down and having to warm up our bodies and deal with cold foreheads, hands, and toes after restarting. Obviously, our preparation for weather changes with the seasons and temperature fluctuations throughout the year. Currently, I try to keep my base at a place where I can easily walk out the door for a rolling, but not nonstop hilly, 75 miles in my riding off-season of October through December and not feel wrecked by the end of the ride. Maybe I feel it some in my legs, but it’s not a big deal to walk or ride it off the next day. 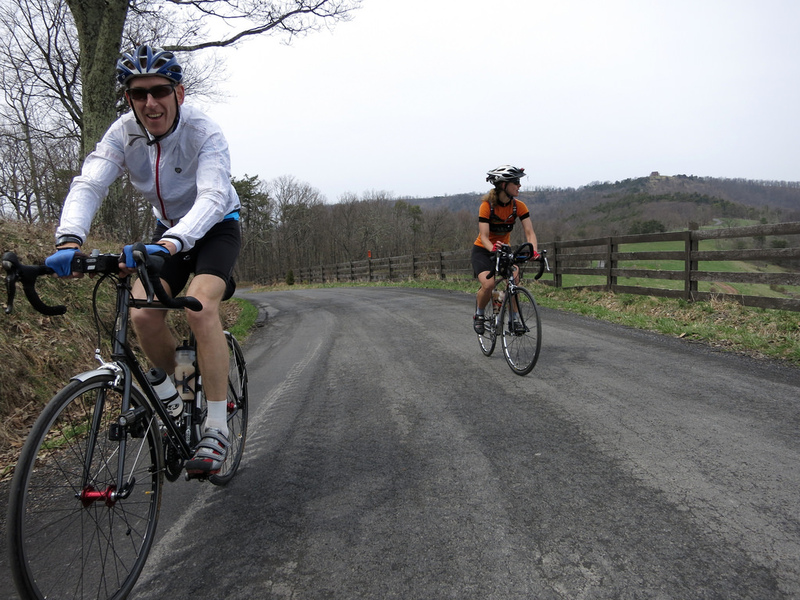 Felkerino and I build our base mileage between January and February so that a century becomes “just another ride.” To give you a sense of one of our off-season ride favorites, here’s a link to our recent ride from D.C. to Sugarloaf Mountain. As you can see from the profile, there are plenty of flattish parts, with rollers mixed in, especially the further out we ride from the District. During the month of January, we don’t worry about overall weekly mileage too much. I run, we both commute, and we make sure to do longer weekend rides when we can. 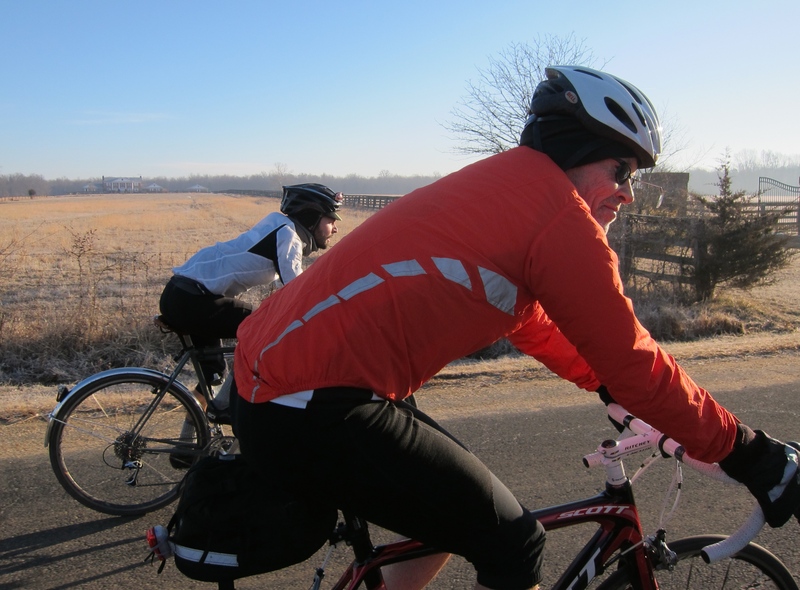 As February approaches, we like our average bicycling mileage to hover around 150 miles per week, with about 50 miles coming from weekday commute/transportation rides and the weekend rides making up the rest. D.C. Randonneurs brevets tend to be decently hilly, in that short hop out of the saddle grinding kind of way, rather than a miles-long gentle grade that takes hours to complete. Your body really need to be conditioned to climb them or you’ll end up with complete rubber for legs at the end of a brevet (though this can happen on a long ride anyway). As the brevets near, say around March, Felkerino and I will head out for back-to-back centuries and on another weekend maybe we’ll plan a ride that’s around 150 miles to prepare us for longer days ahead. During these rides, we exercise more discipline by taking fewer breaks, and acclimate ourselves mentally and physically to longer periods in the saddle. 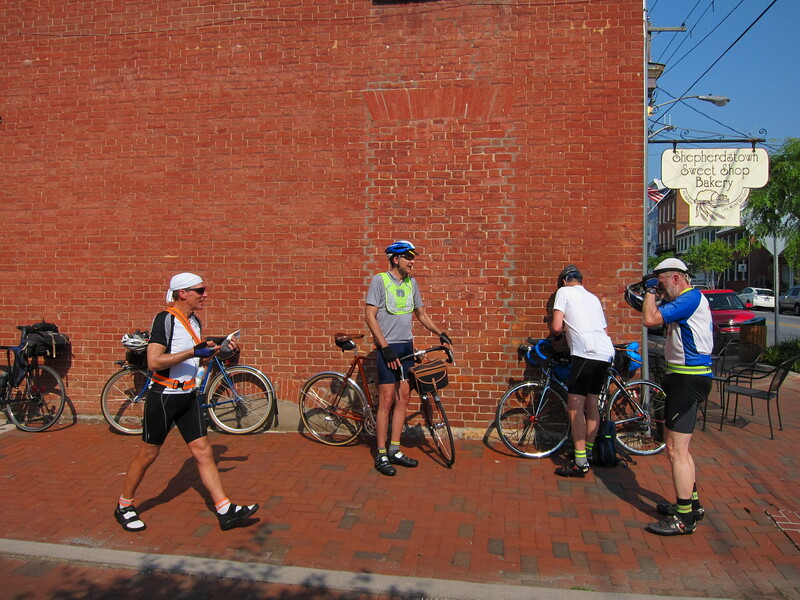 Ideally, we’d like to ride about 50 miles or so before we take a break. 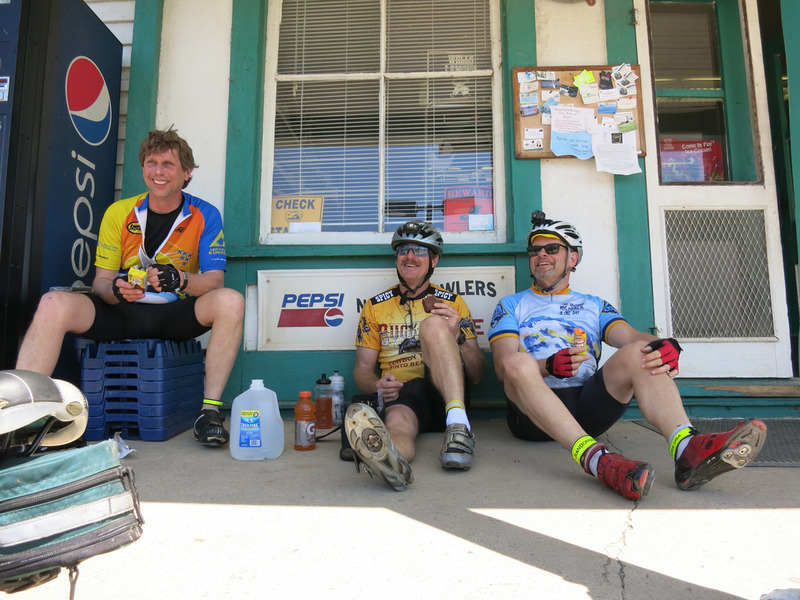 Practically speaking, this almost never happens, so we end up taking short stops at around 25- and 75-miles, and a longer “sitdown” stop for food and refueling at 50 miles. During a brevet, the clock keeps ticking and there will be consequences for stopping. That consequence may come in the form of riding longer in the dark, being on the course longer, and generally becoming more tired from your effort. It’s important to be deliberate about when and how long you spend time off the bike during a brevet. Over time, I have worked on my breathing so I can manage a hard climbing effort better. In the days when I was first starting out, my breathing would get away from me and I’d start to pant and freak out. Essentially, I worked on my breathing through regular attendance at spin class over the course of a year or so. I used a heart rate monitor to gauge my effort throughout a 45-50 minute class so I could see what a hard effort looked like as it related to heart rate. I gained a good sense of my limits and, from there, began to work on doing hard efforts without going into the red zone (i.e., “I’m going to pass out” zone). Weekends were an opportunity to apply what I had learned in the safe space of a spin class on the road. Use of a heart rate monitor was key to understanding and managing my level of effort. Now when I’m on the bike not only do I try to manage my effort on the uphills, I try to actively recover on downhill sections. This allows me to use my body’s energy more efficiently. We will push the pedals up to a certain acceleration, but beyond that I use my time to relax and recover for the next section. During the off-season I’ll also work strength training into my routine when I can (although I’ve been bad about this over the last year or so), and make earnest attempts to sleep close to 8 hours per night. Sleep is a randonneur’s friend, although you wouldn’t know it from some of the distances we ride. Nutrition is another consideration for long rides, both in preparation for as well as during and after an event. What foods work well for you on the bike? What foods can you pack with you so you do not have to rely on external sources for food? Packing certain types of food tends to work well for rides that happen earlier in the year when temperatures don’t rise to the point of baking one’s food, and for rides that are around 300K or less. I like to pack hummus or almond butter sandwiches with me during brevets. They digest easily and provide good fuel for my rides. Beyond that, I don’t feel I can rely completely on my own food because I find it becomes impractical to carry that much with me. My nutrition is consistently a weaker area of my randonneuring preparation and it also changes over time. Some foods that worked like rocket fuel in years past stopped working (e.g., turkey sandwiches!) and upset my stomach so I have had to recognize that and adapt to my body’s changing needs. Nutrition after the ride is important, too. I used to eat whatever sounded good or whatever impulse moved me, but that generally led me to making poor refined sugar-filled eating choices. During the week before the ride, I also try to eat a little more mindfully than normal, and cut the alcohol and junk out of my diet. Maybe it’s a placebo effect, but I think it helps. The ramp-up to the brevets is an ideal time to tweak the fit of our bike and try out any new gizmos. What bags will you carry? Where are you going to put your cue sheet? How is the Garmin going to work, if you use one? What lights will you use? How long do those lights last? What gear will you bring to deal with the temperature swings that are typical of a long ride? What about rain? Do you need a hydration system? Where will you store your brevet card during the ride? Do you have reflective gear? How will you make sure you can see the cue sheet in the dark? All of this and more must to be figured and tested well before starting a ride. Civil War Tour 200K, Jeff M. and Bernd K.
Finally, I prepare myself mentally, especially during the week before a brevet. I try to get plenty of sleep so I won’t feel robbed of sleep during the event. It’s mental gamesmanship, but it makes me feel good about dedicating so much time to riding that cuts into my sleep time. I use the days leading up to an event to relax and focus on the ride ahead. I lay out my clothes and think about how the ride will go and how I’m going to approach it. In fact, I actually keep lists of gear I used from one year to the next so that I can dress and prepare by memory, and not by feel. The temperature and weather at 4 a.m. is likely going to be different from what you experience at 4 p.m. What do you need to be comfortable and not overdressed or burdened by your wardrobe choices? I think some people would say that Felkerino and I carry a lot of crap on rides. We would say some people travel too light. What constitutes comfortable and unburdened is left for you to define. Another element I find essential for brevet preparation is committing mentally to success. Sure, there are always unknowns that no one can account before they clip in at the start, and tackling a new distance can be intimidating. But the event is the time to showcase the results of the miles, hills, and overall conditioning you have put into the sport. When an brevet rolls around, you want all of your energy to be going into the pedals, and not into worry about things you no longer have any control over. When I clip in for a brevet, I never ask myself if Felkerino and I will finish this ride. I only allow thoughts of success to enter my mind. We trained. We prepared. We are ready. I’m sure there are parts I did not include, but hopefully others will chime in with their knowledge. Also, please do ask if you have any questions. Overall, I think this is a good starting point for beginning to pursue longer rides so what are you waiting for? Let’s go! Great post, I hope to build up to longer distance rides when spring arrives, so this was a helpful read. Bittersweet to see Thai Pham in the picture from the Civil War Tour. I know. But this day was a nice memory, I thought. Good read! Thanks for the suggestion re: what to do post-double century. I understand about the breathing thing when doing hills! Here in Las Vegas, we have many hills and mountains (e.g., Red Rock Canyon Scenic Loop) and despite my admirable “gym fitness,” climbing them on my bike definitely challenged — and scared — me. Now, I just count rhythmically to 5 or 10 (in time with my breathing) and I find that works well for me on almost any climb. It’s kind of being in a zen-like state!